Why pay the huge price for the car parts, spare while Qld car parts are selling high quality used parts on very economical prices. Call us @ 0416 615 100 and check the availability with us before visiting us, it will save lots of time. We are having a massive range of Classic, Japanese, Korean, European, Australian and American auto parts. Feel free to check the availability with our staff. You can also book the spare part by sitting in your home, we can courier it to you, and however the courier charges will be applied extra. We offer this service nationally only though. Why should I buy used car parts from Qld Second hand car parts Brisbane? – Gigantic range of Japanese, European and American car parts. – Brisbane’s local car part seller. We are selling parts for most of the major makes like Toyota, Lexus, Honda, Mitsubishi, Range Rover, Nissan, Subaru, Isuzu and Kia. Whenever, you need a part of any brand, just let us know the full name of the part with the reference number if applicable and we will get back to you soon. We sell almost all kind parts, for example: transmission, suspension & wheels, Hood, trunk, Window, door, Engine, Battery, Seat, tyres, Radiator, body and Bumpers. I have just described the parts with full of demand all the time, however, if you need something out of that, just give us a call and one of inventory staff members will get back to you. Please allow us at least 12-18 hours on busy hours. Get a used tyres and wheels for all major brands at very reasonable prices. It could be very expensive to buy the branded wheels from the company shop, better to invest less and profit more. We offer high quality tyres and wheels. Get in touch with us and get your spare part today. Get more details about second hand tyres here. Are you looking for the quality and reliable parts for your Mazda? We daily sell auto spare parts for different models of Mazda cars, vans, trucks and Utes. Keen to check the availability of the desired part? Give us a call and one of our staff members will check the inventory records for you. Looking for the quality and reliable parts for your Toyota? We regularly sell auto spare parts for all the models of Toyota cars, vans, trucks, 4wds and Utes. If you are interested to check the availability of particular part? Give us a call or fill out the quote form on the web page and we will revert back to you. We can never ignore selling the parts for the Korean’s top brand Hyundai. Feel free to get a quote online for your desired part. 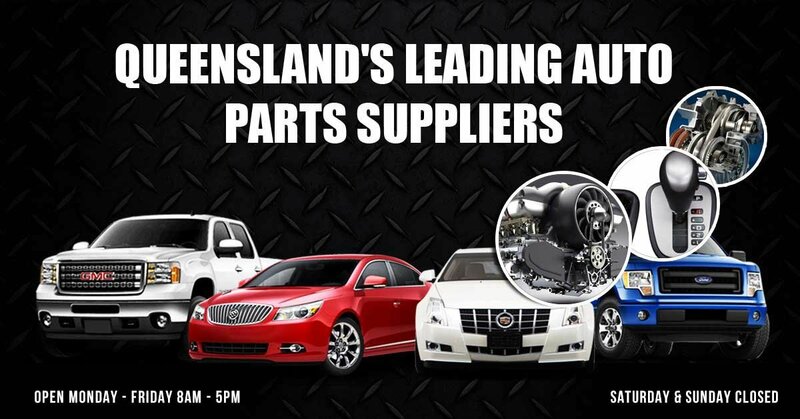 Get in touch with QLD spare part dealer if you are looking for the part for your Nissan vehicle. During the maintenance process, the mechanic can suggest you for the brand new Nissan part, but that would be very expensive to buy. We have an alternative best solution for you. Get a second hand Nissan parts at very competitive prices. Need a replacement spare part for the Mitsubishi Machine? We sell a wide range of Mitsubishi spare parts at very reasonable prices. Our professionals correctly inspect and test the parts before putting them into the inventory system. The cost of the parts varies with the type of it, so please give us a call and get the price for the part you want today. If your Holden vehicle needs a replacement part then feel free to get in touch with the QLD Salvage yards. Give us a call or fill out the form on the right bar and we will help you in the first place. We test and approve the parts before selling and our prices are the best in Queensland. We are keeping a van spare parts on very fair prices, hop into our scrap yards or give us a call and we can assist the best van spare part for your vehicle. Our expert mechanics have years of experience and their automotive advice is priceless. Not just car parts, we stock up the massive inventory of truck spare parts as well. Get the high quality truck body parts on cheap price today. How to Book the spare part? Just give us a call or fill out the form and we will revert back to you within 12-18 hours or earler. Please ensure to provide us enough details while calling. Apart from junk or broken cars, Qld Wreckers crew also buy old or good condition vehicles.